What sign? Did you see a sign? 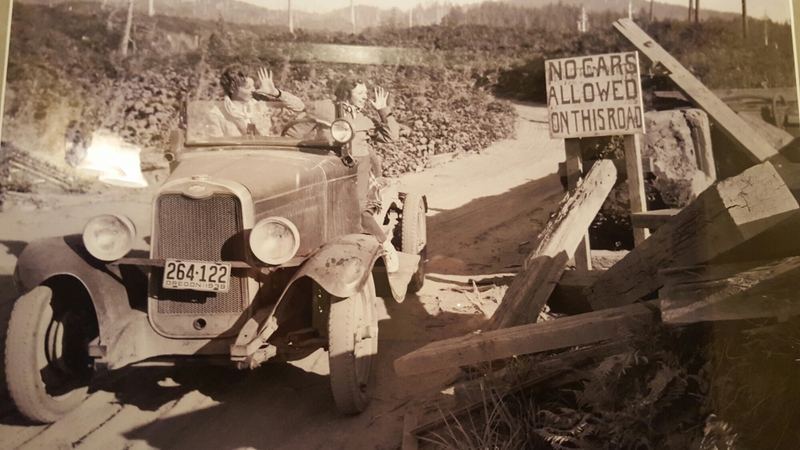 Posted on March 26, 2016 March 26, 2016 by lorigreerPosted in Living Everyday, UncategorizedTagged Humor, No cars allowed on this road, old cars, old roads, Oregon, spirited women. Who cares about a sign? Where’s the road? I love their feisty nature. Thanks! Reblogged this on Still Another Photoblog. The youth of today have no respect for authority! he he.. good picture.. but which way should i go.. any roads..? I love their attitude…especially considering it was “back in the day”. Me too! I am drawn to old photographs. I am trying to indulge in more visually creative projects using old family photos. Have a great week! LoL I was looking down!